The IFFA Board now implements the new membership fee structure 2018. The IFFA chair Peter deMarsh has sent a letter to all IFFA members explaining the new fee structure and asking for the members feedback. 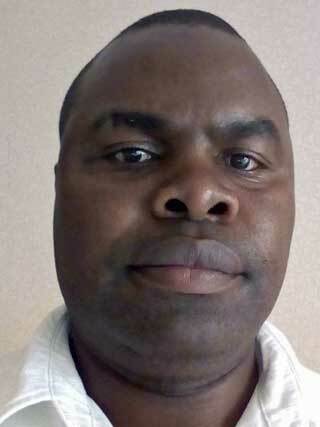 Charles Nyanjui was elected into the IFFA Board as a new board member at the IFFA annual meeting 2017 organised in Brussels 15 March 2018. 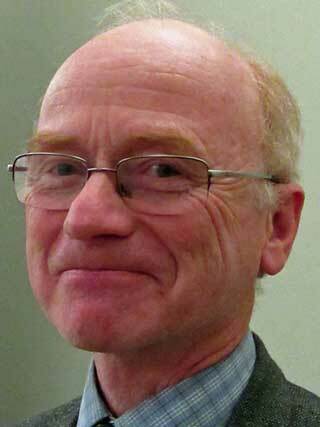 Peter deMarsh (Canada) was re-elected as chair at the IFFA annual meeting 2017 in the Forestry House in Brussels the 15 March 2018. Pentti Linnamaa (Finland) was elected as new Vice-chair. IFFA has continued to mange an impart when participating in many events, IFFA chair, Peter deMarsh said when presenting the IFFA activities and achievements in 2017. His report was underlined with the slide show presentation of Lennart Ackzell who showed pictures of the many 2017 activities. 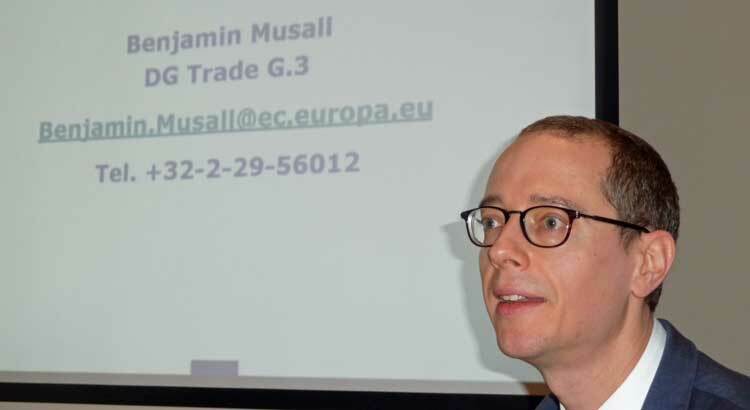 Guest speaker at the IFFA annual meeting 2017 was Mr. Benjamin Musall from DG Trade in the European Commission. He informed the audience about Mr. Musall informed the audience about the ongoing trade negotiations and how forest products have been dealt with. 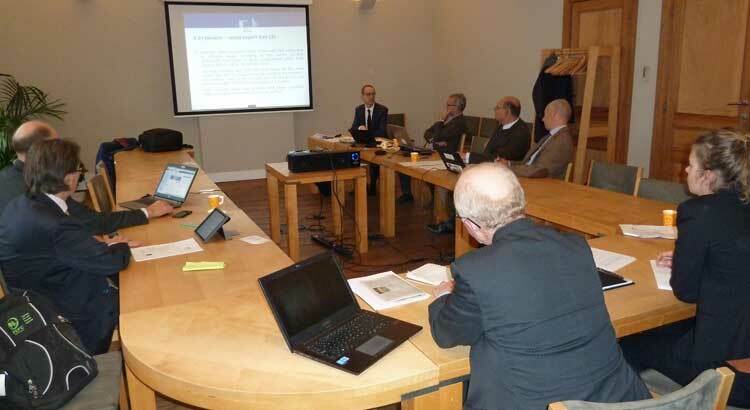 The IFFA Board has finalised the agenda for the IFFA Annual meeting in Brussels 15n March 2015 in the Forestry House in Brussels 16h00 to 18h00 Brussels time. CEPF, the family forestry federation in Europe, and member of IFFA, changes secretary general. 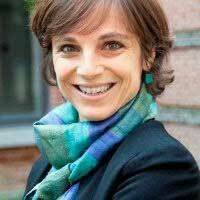 Emma Berglund, the previous secretary General has moved back to Sweden. The new secretary general started 15 February 2018. The IFFA Annual Meeting 2017 will be organised the 15 March 2018 in the Forestry House in Brussels at 66, rue de Luxembourg. The IFFA board has drafted the program for the IFFA Annual Meeting 2017 in Brussels 15 March 2018 In addition to the regular issue the will be discussion on priorities and effectiveness and exchange of experience. 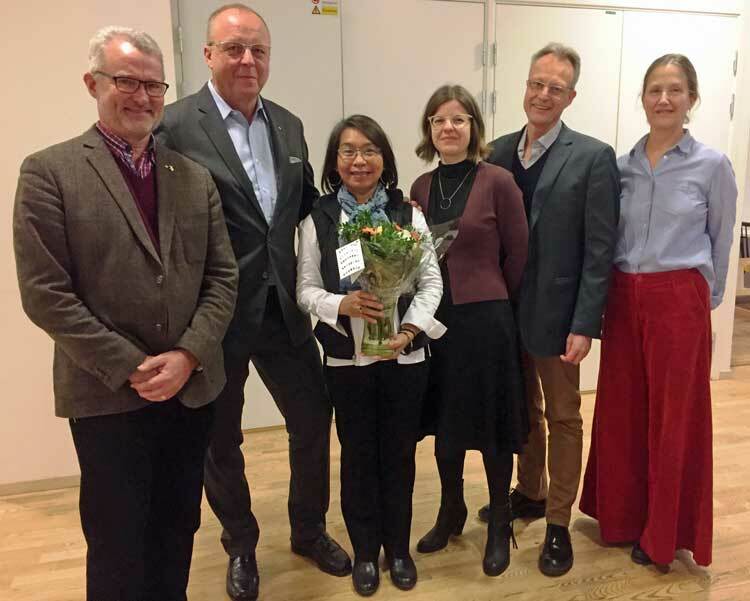 On Monday the 20 November the RRI initiative the Land Tenure Facility established its secretariat at LRF the Federation of Swedish Farmers and Federation of Swedish Family Forest Owners (members of IFFA). The Fourth Forest and farm producer organisation conference was organised by IFFA in Tanzania 28-29 September 2017. In the series of forest producer organisation conferences this was a follow up of the IFFA Americas’ in Mexico 2014, Africas’ in Kenya 2015, Asians’ in Thailand 2016 and now this 2nd Africas’ in Tanzania 2017. Second Africa forest producer organisation Conference in Tanzania. A Second Africa forest producer organisation Conference will be organised in Tanzania25-29 September 2017. 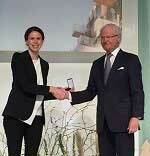 The CEPF Secretary General Emma Berglund received a medal from the Swedish King. Peter deMarsh, Canada, was re-elected as chair at the IFFA Annual Meeting 2016 organised in Brussels 10 January 2017. The annual meeting approved the items proposed on the agenda. During the Annual meeting 2016 vice-chair Lennart Ackzell presented a slide show of the highlights of IFFA in 2016. Satu-Marja Tenhiälä, Finland, and Johannes Kyrle, Austria, was elected new members of the IFFA Board at the annual meeting in January 2017. Welcome to IFFA Annual Meeting 2016 in the Forestry House in Brussels, Belgium, 10 January 2017 at 14h00 local time. IFFA is collecting facts about family forestry and small holder organisations, this time in Asia Pacific. Please fill out questionnaire. -Recognise the key role of forest and farm producer organisations, secure land tenure, climate change threat, empowering small holder organisations and partnerships with government and international donors. IFFA Annual Meeting 2016 will be organized in the European Forestry House in Brussels 10 January 2017. IFFA Asia Forest Producer Organisations Conference 2016 will be organised in Bangkok, Thailand, 7-9 December 2016. IFFA spoke at a forest seminar at the Swedish Embassy in Tokyo, Japan, and followed up by a meeting with the Japanese forest owners’ organisation. 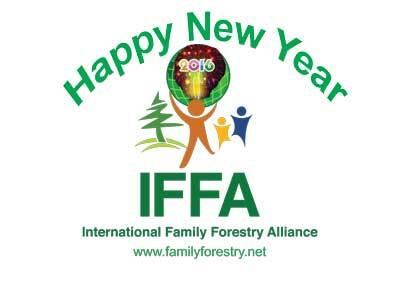 IFFA, International Family Forestry Alliance, wish all our members, friends and followers a very Happy New year 2016. Sharing experience among International, national and local level is useful and inspiring. The IFFA Annual Meeting 2015 will be organised in Paris, France, Friday 4 December 2015 from 16h00 to 19h00 local time. IFFA thanks FAO Forestry director Eduardo Rojas-Briales for excellent cooperation during more than five years. The World Forestry Congress focus especially on youth and IFFA will have a small youth delegation at the Congress. The Forest and Farm Facility, FAO, organise a pre-Congress build up event two days before the opening of the World Forestry Congress. Africa Forest producer organisations conference opens 9th June, and the program is now updated. IFFA support Forest Producers Conference preparations in Nairobi for the African Farm and Family Forestry Producer in Kenya 9-11 June 2015. A new family forest owner organisation was founded during a conference organised in Nepal 7-8 March 2015. IFFA is planning a “Africa Farm/Family Forestry Producer Organisation Conference in Kenya. All the G3 Alliance partners have now updated web-sites and Facebook and Twitter pages. The Global Alliance of Community Forestry (GACF) has launched their new web-site www.gacf.info. 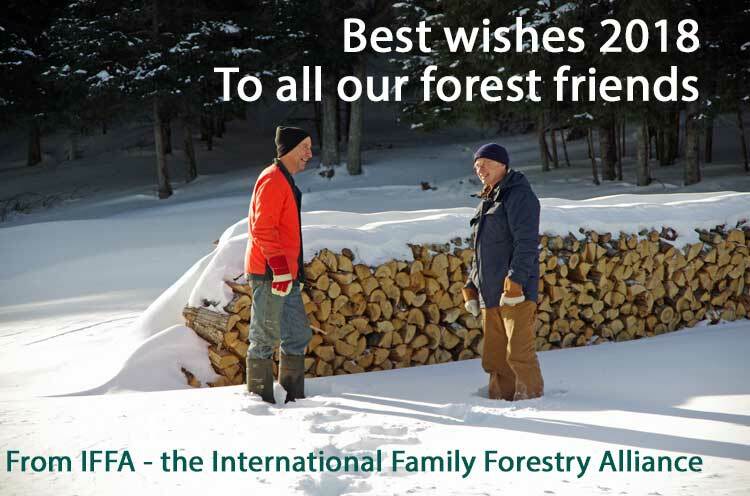 The International Family Forestry Alliance has posted a Newsletter. Subscribe in the subscription box down left on the IFFA front page. You may read the IFFA web page in your own language. Try out this method. IFFA and the G3 Alliances have become partners of the Forest and Farm Facility, and participated in the FFF inception meeting in Gland, Switzerland, in January. The G3 Alliances met for a planning meeting in Gland, Switzerland, in January. The partnership agreement between the International Family Forestry Alliance (IFFA) and the Forest and Farm Facility (FFF) was presented at the IFFA Annual meeting in December 2014. The IFFA Board was re-elected at the IFFA Annual Meeting in Brussels the 11th December 2014. The International Family Forestry Alliance (IFFA) is in progress, reported chair Peter deMarsh at the opening of the IFFA annual meeting in the Forestry House in Brussels 11th December 2014. Documents for the IFFA Annual Meeting 2014 are now available for download. The IFFA Brochure is now updated and may be downloaded in low and high resolution. The IFFA annual meeting 2014 will be organised in Brussels 11th December 2014 at 15h30 GMT. The first ever American forest producer organisation conference was organised by CONOSIL in Mexico 18-19 September. The International Family Forestry Alliance (IFFA) is updating the IFFA brochure and appreciates input, comments and suggestions. The International Family Forestry Alliance (IFFA) has launched a new set of logos with web-address to the IFFA web site included. A new IFFA logo is now launched. The logo is brighter and more updated to modern design. 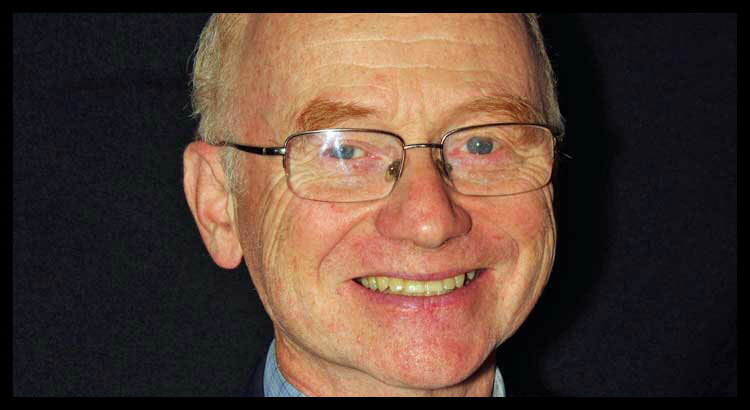 Peter deMarsh Canada was re-elected as chair at the Annual Meeting 2013 of the International Family Forestry Alliance (IFFA) in Rovaniemi, Finland, 11th December 2013. IFFA Annual Meeting 2013 Documents are now posted at the IFFA web page. The IFFA Annual Meeting will be organized in Rovaniemi, Finland, Wednesday 11th December 2013. IFFA members are invited to sign up as soon as possible. IFFA Annual Meeting 2013 will be organised in Rovaniemi, Finland, Wednesday 11th December. Peter DeMarsh, Canada, was re-elected as IFFA Chair at the Annual Meeting in Brussels, 11th December 2012. The IFFA Board has accepted the Norwegian offer to host the IFFA secretariat. The International Family Forestry Alliance, IFFA, is recommended for consultative status in ECOSOC. The Forest & Farm Facility connected to FAO organized the first ad hoc steering Committee meeting. The International Family Forestry Alliance, IFFA, has produced a new brochure for reading and download. The IFFA Board launch the IFFA 2013 Work plan proposal. 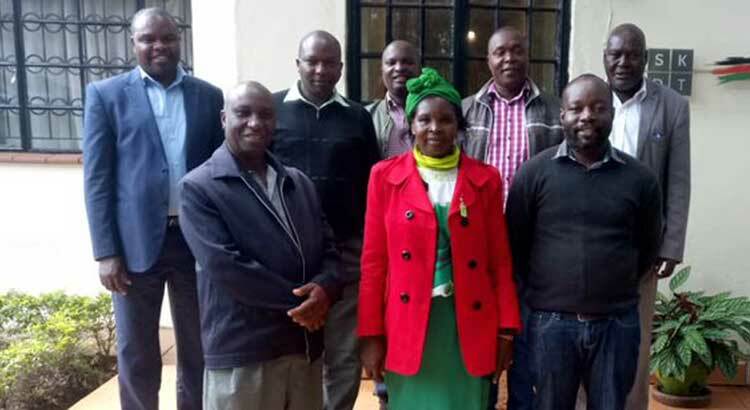 The Farm Forestry Associations of Kenya gathered together in Nairobi and formed a National Committee. A new IFFA brochure was presented at the General assembly of CEPF, the European Confederation of Family Forest Federations. Update and next step in the G3 / PEFC Group certification project was discussed at the G3 planning meeting in Graz 12th October 2011 as an important part of promoting locally controlled forestry. During the G3 planning conference in Graz the Austrian hosts arrange an excursion in steep terrain. Peter deMarsh, Canada, was elected as new chair of IFFA during the IFFA annual meeting in Graz 11th October 2011. The draft of a Memorandum of Understanding between the three Alliances in the Three Rights Holders’ Group, G3, is now ready. The documents for the IFFA 2011 annual meeting are now ready. Peter deMarsh is nominated as new chair of IFFA after Lea Jylhä. All IFFA members are kindly invited to the IFFA annual meeting 2011 to be held in Graz in Austria 11th October 2011. The G3 planning in October 2011 will be organised in Graz, Austria, from 9th to 13th October 2011. As part of the International Year of Forest 2011 UNFF launches a Forest Hero Program. GACF came up with a new Declaration during the GACF Annual Planning meeting in Lombok, Indonesia, July 9th to 10th 2011. The IFFA April Newsletter is ready for distribution. Lea Jylhä from Finland was re-elected as chair of the International Family Forestry Alliance in the IFFA Annual Meeting 2010. The IFFA communication strategy is now updated with the comments received on the draft version. The documents for the IFFA 2010 annual meeting is now ready and is available for downloading. Notice that the meeting venue is Hotel Entremares in Rio de Janeiro. The UNFF secretariat has approved the IFFA application for using the logo of the International Year of Forest 2011 for information purposes. The International Family Forestry Alliance has developed a new communication strategy. The IFFA Board has set up the preliminary agenda for the IFFA Annual Meeting 2010. The next planning meeting for the Three Rights Holders Group, G3, will be organised in Brazil from the 8th to the 12th November 2010. The IFFA Annual Meeting 2010 will be organised in Brazil 9th November 2010. The official members’ invitation to the IFFA Annual meeting 2010 in Brazil is now available. The IFFA web site has been technically updated. The update includes a new section devoted to the Three Rights Holders Group, see main left menu. The Three Rights Holders Group, G3, discussed in Rome draft objectives and plans for the group of the three alliances of family forestry, IFFA, community forestry, GACF, and Tribal and Indigenous Peoples of the Tropical Forest, IAITPTF. The Group will elaborate further on their draft plans. The Three Rights Holders Group, the network between family forestry, community forestry and indigenous and tribal people, met with FAO 2nd to 4th March. 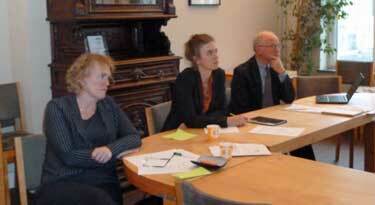 The Group also discussed plans for further close cooperation. Lea Jylhä from Finland was elected as new chair of The International Family Forestry Alliance, IFFA, at the IFFA annual meeting in Paris Wednesday 11th November 2009. Ivar Legallais-Korsbakken, Norway, stepped down as IFFA chair and was thanked by Antti Sahi, Finland, at the IFFA Annual meeting in Paris, Wednesday 11th November 2009. The date and location for the IFFA Annual Meeting 2010 is not decided, but a possible date is Wednesday 27th October 2010. The annual meeting of the International Family Forestry Alliance, IFFA, made decisions according to the Board proposals in Paris 11th November 2009. All IFFA members are heartedly invited to participate in the IFA Annual meeting in Paris Wednesday 11th November 2008 at 17H00. If a representative from your organisations cannot come, you are welcome to authorise another representative. The meeting documents for the IFFA Annual Meeting is now available. Invitations to the IFFA Annual Meeting 2009 in Paris Wednesday 11 November 2009 at 17h00 – 19h00. Forming a new forest network of organisations for small forest holders was proposed during The Forest Dialogue held in Brussels 9th and 10th June 2009. IFFA would be one of the parties in the network. The IFFA Annual Meeting 2009 will be Wednesday 11th November in Paris. The Annual Meeting will be arranged in conjunction with the PEFC General Assembly. - One of the keys to mitigating climate change is to support the formation and development of forest owners and community forest organisations, Ghanshyam Pandey said on behalf of IFFA and GACF at the 8th session of United Nations Forum on Forest Wednesday 22 April 2009. Rights and Resources Initiative, RRI, arranged a side event together with the International Family Forestry Alliance, IFFA, and the Global Alliance of Community Forestry, GACF, at United Nations Forum on Forest, UNFF, in New York Monday 20 April 2009. The IFFA Board would like to know how many IFFA members intend to attend the 13th World Forestry Congress in Argentina in October 2009. The Board is discussing arranging for a side event and must decide at the end of March 2009. IFFA is making progress, but we need means to be more visible, the IFFA chair, Ivar Legallais-Korsbakken writes in a letter accompanying the membership fee invoices. The Board of the International Family Forestry Alliance, IFFA, wishes to thank our Australian host for an exceptional well organised IFFA excursion and IFFA Annual Meeting 2008 in Canberra in October 2008. The IFFA Annual Meeting 2009 will be in Paris in in connection with the PEFC General assembly. The IFFA Annual Meeting 2008 decided to fix the membership fee to € 350 for members and € 175 for associate members. Ivar Legallais-Korsbakken, Norway, was re-elected as chair of IFFA, the International Family Forestry Alliance. New on the Board is Natalie Hufnagl-Jovy, Germany. The Australian organisers of the IFFA Annual Meeting in Canberra will try to provide telephone conference possibilities for those members who will not be present in Canberra Wednesday 29 October. Please phone, e-mail or send text message urgently if you would like to phone in. The Program for the IFFA Annual meeting and the International Forest Owners’ Congress are updated and you will find it on the web page by following the link below. The World Forestry Congress 2009 will be organized in Buenos Aires, Argentina, from 18 to 25 October 2009. The International Family Forestry Alliance, IFFA, has a seat in the Advisory Committee, and IFFA members are asked to come up with comments and proposals. The International Family Forestry Alliance is moving ahead in the right direction, but slowly, concludes Ivar Legallais-Korsbakken in the Chair’s report that will be presented at the IFFA Annual Meeting 2008 in Canberra Wednesday 29 October. The IFFA Board wishes you heartily welcome to the IFFA Annual Meeting 2008 in Canberra, Australia, Wednesday 29 October 2008. The Annual meeting will follow the 6th International Forest Owners’ Congress. The IFFA Board has decided to arrange the 6th International Forest Owners’ 28 – 29 October 2008 in Canberra Australia. The congress will coincide with the IFFA Annual Meeting and the PEFC General Assembly. The IFFA Board as decided to arrange the IFFA Annual Meeting 2009 Wednesday 29 October in Canberra, Australia at 16h30 local time. The Board of IFFA have agreed on special tasks for the Board members. If the members have concerns about specific question, you may approach the responsible directly. The IFFA Board is exploring the possibilities of arranging the 6th International Forest Owner’s Conference together with the annual meeting in Canberra, Australia, in October 2008. The IFFA Annual meeting 2008 will be held in October in Canberra, Australia. The meeting will be held in connection with the PEFC General Assembly. Draft minutes – and next year? Draft minutes from the IFFA Annual Meeting in Munich 3 October 2007 are now available. Please comment on draft and next years venue. A report on the cooperation between the Family Forestry Alliance, IFFA; and the Global Alliance of Community Forestry, GACF, was presented on the IFFA Annual Meeting Wednesday 3 October. The Annual meeting of the International Family Forestry Alliance, IFFA, approved a new draft of a Memorandum of understanding, MOU, with the Global Alliance of Community Forestry, GACF. Ivar Legallais-Korsbakken, Norway, was elected as the new chair of the International Family Forestry Alliance at the Annual meeting in Hunting and Fishing Museum in Munich 3 October 2007. A draft of the IFFA work program 2007-2009 is now ready and will be discussed at the Annual Meeting 3 October 2007 in Munich. The Board of the International Family Forestry Alliance, IFFA, welcomes all members to the IFFA Annual Meeting in Munich at 13h00 local time Wednesday 3 October 2007. The venue is the German Hunting and Fishing Museum in Neuhauser Strasse 2. Connected to the IFFA Annual Meeting 2007 there will be an excursion in the morning of Thursday 4 October. A draft memorandum of understanding, MOU; between the International Family Forestry Alliance, IFFA, and the Global Alliance of Community Forestry, GACF, will be discussed at the IFFA Annual Meeting 3 October 2007 in Munich. Ivar Legallais-Korsbakken from Norway is nominated as new chair for The International Family Forestry Alliance, IFFA. The election will be at the Annual meeting 3 October 2007 in Munich. Dear members, have you registered for the IFFA Annual Meeting in Munich at 13h00 local time Wednesday 3 October 2007. If not, do it now! 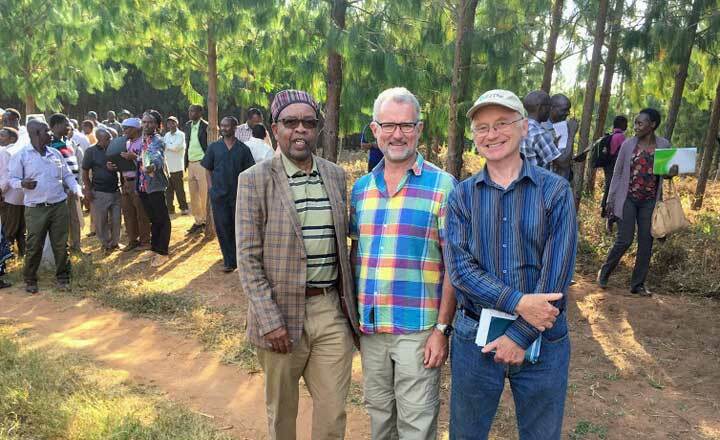 The Board of the International Family Forestry Alliance, IFFA, is responding very positively to the suggestion of drafting a Memorandum of Understanding with the Global Alliance of Community Forestry. The joint positions and the joint side event at UNFF7 was a great success. The International Family Forestry Alliance, IFFA, and the Global Alliance of Community Forestry, GACF, invites to a joint side event in connection with UNFF7 in the UN Headquarters in New York Monday 23 April 2007 between 1:15 and 2:45 pm. Copyrighting the logo and the name of IFFA is now under way. The initiative was taken some time ago and advances now towards international copyright and service mark protection. Copyright and opening bank account where among the issues discussed at the IFFA Board meeting 30 March 2007. The Board and Forest Policy Task Force of the International Family Forestry Alliance, IFFA, are now drafting a joint position paper together with the Global Alliance of Community Forestry, GACF. The position paper aims at the seventh session of United Nations Forum on Forest, UNFF7, starting in New York mid April. In order to involve our members in the drafting process we would encourage our members to read the enclosed position and send their comments. 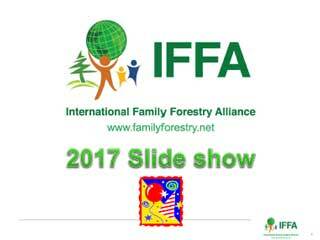 Our Finnish colleagues have developed a short four slide presentation of the International Family Forestry Alliance, IFFA. The presentation is based on the poster that was used for the first time at the FAO Committee on Forestry meeting in Rome in mid March. The Annual Meeting 2007 of the International Family Forestry Alliance, IFFA, is now scheduled to Wednesday 3 October 2007 in Munich, Germany. The Annual Meeting will be arranged in connection with the general assembly of PEFC, starting the day after. The IFFA Annual Meeting will take place in Wednesday afternoon. 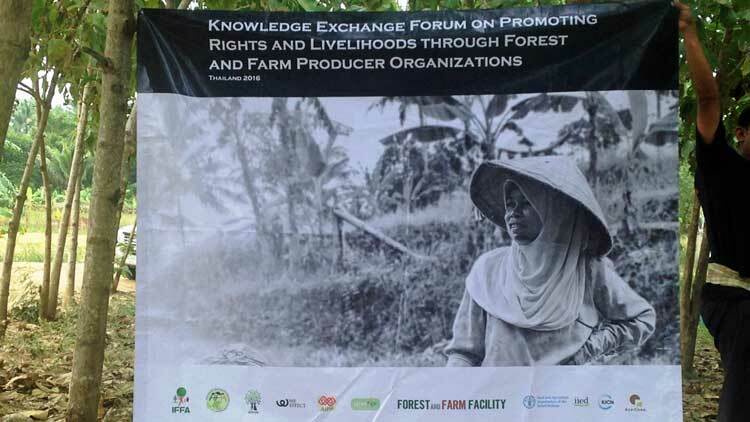 The International Family Forestry Alliance, IFFA, has produced two posters to be launched for the first time at the FAO Committee on Forestry (COFO) meeting in Rome in mid March 2007. The posters present the goal and values of IFFA and family forestry and gives and overview of the services that IFFA are developing. The International Family Forestry Alliance is now launching the organisation’s new web site. The aim of the web site is to communicate with the members and with the outside world. The mission of IFFA is to be the voice of family forest owners targeting international governmental and non-governmental decision makers. The International Family Forestry Alliance will have a joint side event with the Global Alliance of Community Forestry, GACF, at the United Nations’ Forum on Forest meeting, UNFF7, in New York in April. The Board of IFFA confirmed this at its teleconference Board Meeting 7 March 2007. IFFA and the Global Alliance of Community Forestry have applied for a side event during UNFF7 (United Nations Forum of Forest) in New York in the last part of April. The side event will highlight the common values of the two organisations. The Board of IFFA would like to se the organisation represented at the meeting of the Convention for Biological Diversity (CBD) in May 2008 in Bonn. This was decided at the IFFA Board teleconference meeting 6 February 2007. The Board of IFFA has updated the work program of the organisation. The work program for 2006/2007 was presented for the annual meeting in September 2006 and adopted by the annual meeting. The Board has in their meetings continuously updated the work program according to progress and new task coming up. The Board of IFFA started working on a membership application from the Mexican forest owners’ organisation CONOSIL. The Board looks very positively at the application, and will contact CONOSIL for additional information, the Board decided at their teleconference board meeting the 19 December 2006. Bob Simpson, the chair of IFFA, officially announced today that the incorporation of the organisations has been finally approved in the Washington State, District of Columbia in the United States. At its annual meeting in New York IFFA, the Global Alliance of Family Forest Owners, decided to establish a formal organization in order to become a more powerful spokesman for family forestry in relation to international organizations, such as the UN-organizations and the World Bank. Bob Simpson (in the picture) from USA was elected Chairman of the Board and Mr Ivar Korsbakken from Norway was elected deputy. Ten member countries attended the IFFA meeting in Portland, Oregon, USA the 27 October 2006. 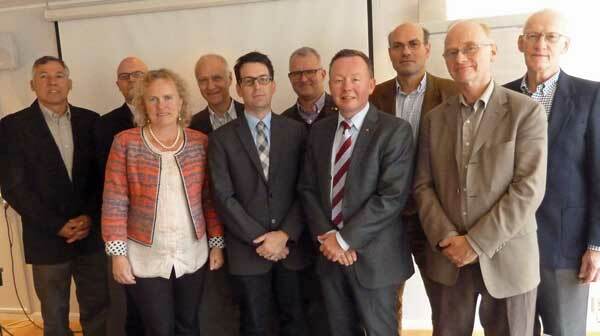 The meeting was held in connection with the PEFC General Assembly. The Board of IFFA discussed the work plan for 2006 / 2007 and assigned responsibilities connected to each of the actions. The Board made the decisions at the teleconference Board meeting 11 October 2006. The responsibilities will be included in the new update of the action plan. Bob Simpson USA, was re-elected at chair of IFFA at the organisations annual meeting in Helsinki 8 September 2006. Ivar Korsbakken, Norway, was re-elected as vice chair. The Annual meeting of International Family Forestry Alliance, IFFA, adopted the new by-laws of the organisation at the Annual meeting 2006 held in Helsinki 8. September 2006. The chair, Bob Simpson, announced at the meeting that IFFA now formally is incorporated in the Washington State, District of Columbia, USA. The incorporation of IFFA under US law is nearly completed in Washington DC. Chair Bob Simpson gave an update at the IFFA teleconference Board meeting 29. August 2006 and could inform that only minor changes was to be made after comments from the registration authorities. DC authorities have cashed our check and then incorporation is imminent, Bob Simpson said. The IFFA Board has appointed a nomination committee to prepare the elections at the IFFA Annual meeting. At the teleconference Board meeting 10 August 2006 Ulf Österblom, Tony Rotherham and Stefan Schenker was appointed. The IFFA Board drafted the Annual Meeting agenda in a teleconference Board meeting 3 July 2006. 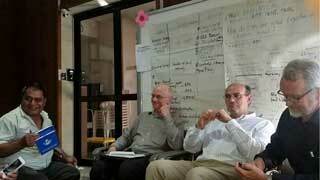 The main items will be the formalisation of IFFA, the discussion on the work plan and modalities and the elections. The draft bylaws where the main item discussed at the IFFA teleconference Board meeting 22 June 2006. The Board went through all the details in the draft and will redraft some of the paragraphs. The IFFA Board embarked into a deep discussion on the drafted bylaws and documents of incorporation at their teleconference Board meeting 8 May 2006. The first draft has circulated for a while and now the time has come to start the process of finalising the documents and the registration before the Annual meeting in September 2006. Download logos: rightcklick and choose Save picture as. Chair Bob Simpson and the rest of the board was re-elected at IFFA’s Annual meeting 25 May 2005 in New York. 10 voting members and one associated member were present. The annual meeting was held in connection with the meeting in United Nations forum on forest (UNFF5). IFFA will be formalised as an incorporated organisation. This was decided at the Annual Meeting of the International Family Forestry Alliance (IFFA) in Geneva Switzerland 5 May 2004. 10 voting members and 3 associated members participated in the meeting. 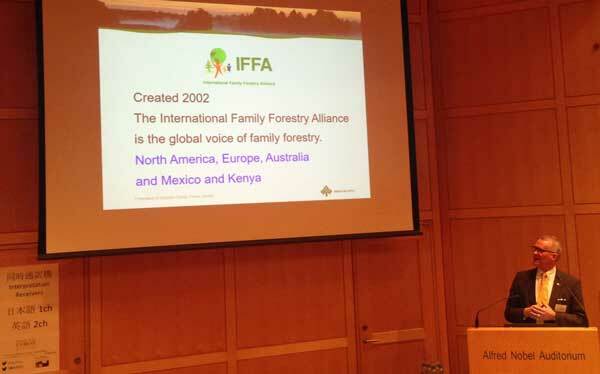 The Annual meeting of the International Family Forestry Alliance, IFFA, affirmed the organisations’ mission. The annual meeting was held 28 May 2003 in Geneva Switzerland in connection with the UNFF3-meeting. Nine voting members and three associated members participated.